All online entries with valid email addresses will receive a confirmation listing their race number and pertinent race details. Entries without email addresses will be not confirmed. A progressive list of confirmed entrants will also appear on this web site. Please note that ALL COMPETITORS will need to attend at one of the venues in order to pick up the bibs, timing chip and last minute information as well as your race bag. You will need to bring with you your proof of entry in the form of a print out It is strongly recommended that the all participants inform their name, phone contact (in case of emergency) and any medical details they consider appropriate, on the back of the bib. This information may be of the utmost importance in case a health problem arises during the race. There is no bib numbers sent by post office. Only entries with the respective payment or those performed On Line, will be considered. All registrations are final, no refunds for any reason whatsoever, will be made. No registration transfers will be allowed. Anyone retroceding his bib to a third party will be held responsible in case of accident or caused by the latter during the event. The organization accepts no responsibility in this situation. Runners must collect their race packs prior to the race. Runners will receive their race numbers, timing chip and relevant race information. Runners who do not collect their race packs from Registration will not be refunded whatever the reason. 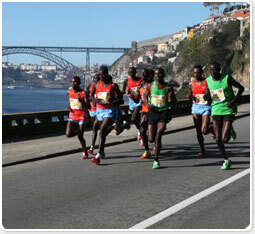 I sign up Oporto Marathon. 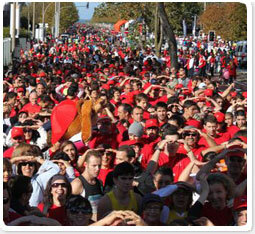 I sign up for 15Km. I want to run the Fun Race. Entry fee Fun Race (6Km). Please note that a 5% online registration processing fee will be added at checkout. 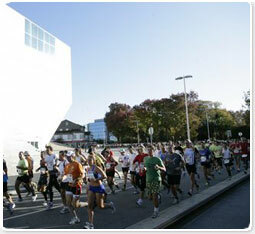 The registration fees are non-refundable, and entries are not transferable to another individual or year.